It’s that time of year again! Time for the annual Gloucester Main Street Beer Garden during the 2018 Daffodil Festival which is presented by Mainsail Wealth Advisors, LLC! 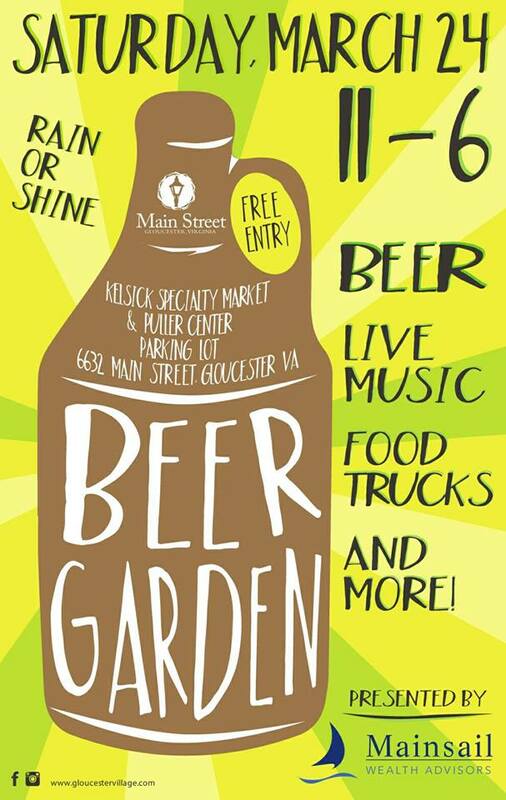 Join us in the Puller Center and Kelsick Specialty Market parking lot for live music, craft beer and food trucks. The entire team of Mainsail Wealth Advisors, LLC makes it a point to get to know all of their new clients and the fundamentals of their investment objectives. They are located at 6965 Fox Hunt Lane Gloucester, Virginia and may be reached by phone (804) 693-5500.